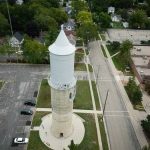 1901 Water Tower Open Houses are held the first Saturday of the month, May-October, and on the 4th of July. (Weather Permitting) Other tours are by appointment. Please contact Tammy Doellstedt at 568-8069, or Doellstedt@sbcglobal.net. to reserve your spot. Age and Height restrictions apply, for those wishing to ascend the 120 steps to the viewing platform. 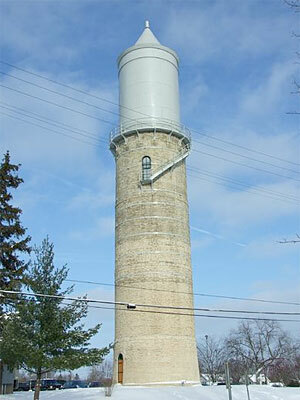 The 1901 Water Tower is not wheelchair accessible. 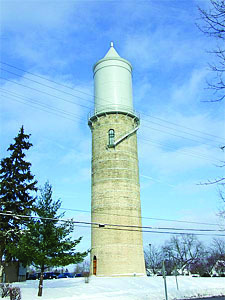 The tower is located at the corner of South High Street and South 4th Street. Parking available on the street or in the FA Middle School Parking lot. Tours conducted by the Fort Atkinson Historic Preservation Commission.